Ajman Free Zone Authority (AFZA) is a rapidly growing free zone in Ajman, United Arab Emirates (UAE). It has been in operation since 1996. AFZA is one of the more than 24 free zones in the UAE. It is 65 kms from Dubai. And offers competitive rates when compared to other free zones. 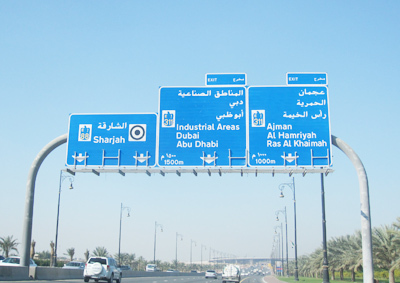 Ajman borders Sharjah and is easily accessible from Dubai via the E311 highway. AFZA is located near the Ajman port. AFZA is a government body authorized to incorporate and license companies. These companies enjoy the same legal status inside the UAE as any other Free Zone company in the matters of trade, contracts, imports, exports, visa and banking. Your main advantages would be competitive set up and operating costs and proximity to the Ajman port. Ajman Free Zone: What it can do for you? As a foreigner you can own it 100% either individually or through your foreign registered company. Your income will be tax free and you can import goods into the free zone duty free. If you re-export these goods you will not need to pay any customs duty. Warehouses are available to store your goods in the free zone area duty free. Your company can do business internationally. Your AFZA registered company can also sell goods in the local markets after paying the customs duty by using the services of a local trader. If your company is licensed as a Service company you can deliver these services from inside the free zone. However your office will need to be in the free zone itself. Like any other free zone company you can use the Dubai’s seaports and airports for shipment of goods by registering your company in Dubai customs to get an import code. You can take advantage of AFZA’s lower costs and Dubai port’s services. If you bring in your goods to a port other than the Ajman port, you will need to pay the customs duty before transferring them to your warehouse in AFZA. Your Ajman free zone company is also eligible to open a bank account in Dubai. Your company will also be eligible to apply for residence visas for its employees and owners who can live anywhere in the UAE. Ajman Free Zone: Which business activities you can get a license for? Many types of trading activities are licensed by AFZA. A single business activity e.g. Trade in garments. You can add up to 3 activities on a single license by paying extra charges. This is popular among international traders because almost all categories of products can be traded. Tobacco, Alcohol, Pharmaceuticals and Crude oil are not allowed. This license will cost you more than the specific trading license in point 1. This permits you to do online business and costs more than the General Trading license. If you need to do activities e.g. Management Consultancy, IT services, Accounting services then a Service license is what you need. You may also apply for an Industrial license if you wish to conduct manufacturing activities. Ajman Free Zone: Which activities are not licensed? Like many free zones Ajman Free Zone does not license some activities. These are permitted to be done only by companies registered outside the free zones, many with UAE nationals as 51% partners. Some prominent activities not licensed are e.g. Construction, Engineering Consultancy, Recruitment, Legal Services, Security Services and Real Estate agency services. Does the content of this page about Ajman free zone resonate with you? If yes, please share it with your friends using one of the social media buttons or start a chat with us below.